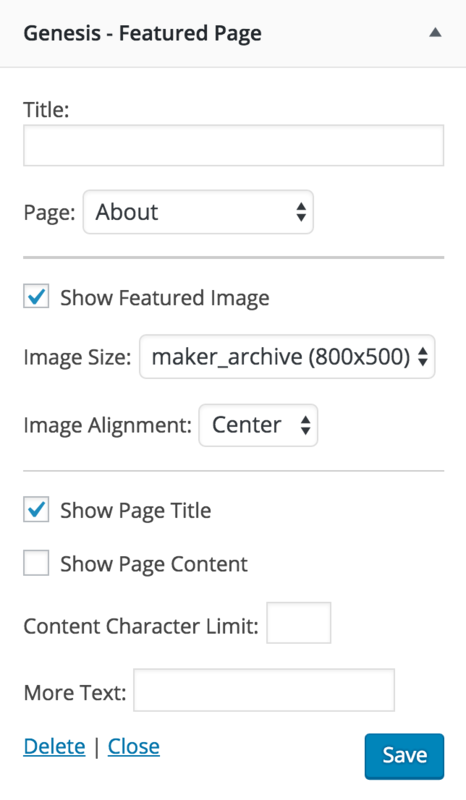 This is the full width widget area with three boxes linking to three pages. The layout of this widget area is dynamic to the number of widgets you have activated. The first widget is always full width and the widths of the consecutive widgets will adapt depending on how many widgets are activated. 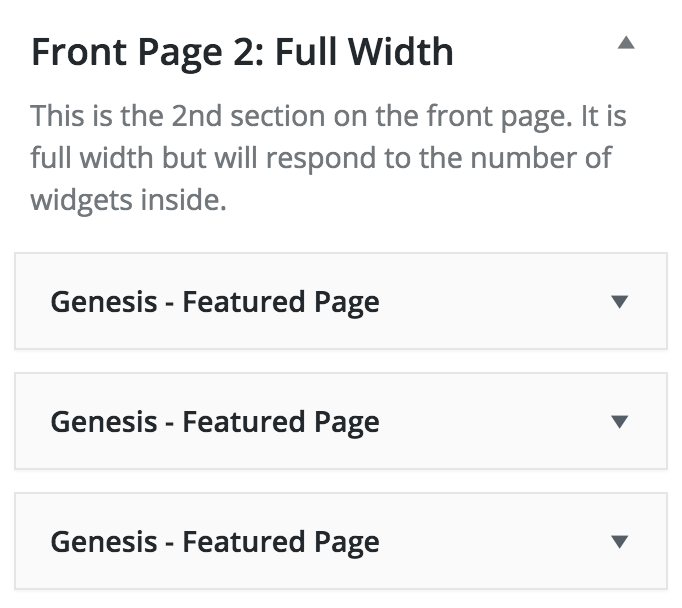 For instance, there are 3 Genesis Featured Page widgets in the Maker Pro Demo, and they all are one-third width. Here are some screen shots showing how it’s setup in the demo.